The lender formerly known as Student Loan Xpress (also referred to and spelled as Student Loan Express) is now bundled under the American Education Services (AES) name. AES is a national provider of competitive federal and private student loans for students completing their undergraduate and graduate degrees. They also serve partner lending institutions that require the services of a management company. Any student just getting their feet wet in the arena of options to finance their college career will want to give AES a look to find out more about any loans or other opportunities that are available to them. 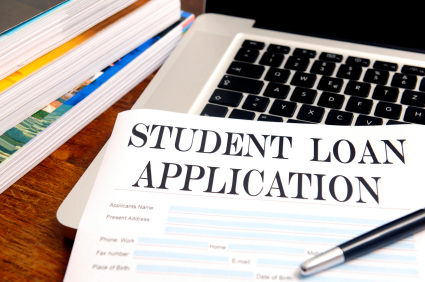 AES will guide the least experienced applicant through the borrowing process smoothly and does a great job at taking off the edge from the sometimes confusing and difficult world of college financing. AES products include federal PLUS loans, Stafford loans, federal consolidation loans and private consolidation loans. Their website is packed with college planning tools, apps, calendars, and tidbits of information. It is a hugely helpful resource to any undergraduate or graduate student dealing with loans. It includes a section where it posts current interest rates, which will be helpful when it comes to shopping around for loans. Students just getting involved in the financial aid world will have access to informational articles on topics relative to the basics of financing college, work-study programs and the benefits of comparing types of student loans and their awards. AES is a fantastic overall educational resource if you are unfamiliar with the fundamentals of loans and other financing options. AES greatly encourages graduates to consider the option of student loan consolidation as carefully as they sort through student loans in general. The organization is committed to urging graduates burdened by multiple monthly loan payments to consider the benefits of either a federal or private loan consolidation, which will bundle the payments, cut them into about half the amount, and stretch them out over a longer term of repayment. The emphasis here is not so much on the notion of consolidation as an organizational strategy as it is on saving big on monthly payments. Lenders through AES are invested in helping graduates manage the risks inherent to both parties in the event of a defaulted student loan. Depending on your job situation when it comes time to repay your loans, and your relationship with money, you may wish to consolidate your payments as they suggest. Parents who apply for a AES Parent PLUS Loan receive extra incentives not typical of other student loan providers, such as a fixed interest rate and flexible repayments. The loan is bundled with a handful of other attractive bonuses including no income requirements and no fees associated with early loan repayment. Parent PLUS Loans are credit-based so borrowers must agree to a credit check. But in most cases with other lenders, if the loan is not approved based on the merit of the credit report, parents are sent away to explore other options. This is not necessarily the case with the AES Parent PLUS loan, which may still allow a borrower with poor credit to qualify with a credit-ready endorser upon meeting with the appropriate adviser. American Educational Services also offers an array of alternative or private loans appropriate for students who have reached the limit on their federal loans or simply choose to borrow privately for various reasons. They have an assortment of different options, including a loan designed for all types of graduate students including those studying medicine and law. These private loans are useful for augmenting other college expenses. In most cases you may be eligible to borrow as little or as much as you need to, which is convenient as most federal loans do not come close to providing the funds necessary to pay for all the costly aspects of earning a degree. AES is now one of the top leaders in volume for student loans in the country. Perhaps one of the most appealing characteristics of the organization is its informative, easy to navigate website. The student loan services provider appeals on a basic level to undergraduate students, graduate students and parents alike who are just beginning their journey in paying for college, are in the process of educating themselves on the best ways to do so, and so require a fair amount of guidance in making student loan decisions.